The Sound of Science - "Hard as Diamond"
K: I’m Kate Powers from NIU STEM Outreach and I’m in the studio with Jeremy Benson. This is the Sound of Science on WNIJ. J: Kate, we have a question today from Sara. She wants to know why diamonds are so hard? K: Sara’s right, diamonds are one of the hardest substances on earth. They are very important for industrial tools and scientific instruments. J: Wait, that must be very expensive to make a tool out of diamonds! The Sound of Science - "Personal Black Hole"
Kate: Hey Jeremy, do you know what time it is? Jeremy: I sure do, Kate. It’s time for us to answer another question on The Sound of Science, presented by NIU STEM Outreach and WNIJ. Josh: I would like to know how small a human has to get to create a black hole. Jeremy: What a great question Josh! To answer, let’s start by talking a bit about black holes in general. The Sound of Science - "New Moons"
J: This is Jeremy Benson. K: And Kate Powers from NIU STEM Outreach. J: And this is the Sound of Science on WNIJ. J: Great question, Danielle! We’ve had good moon questions lately - I guess you could say we’re going through a phase! K: Oh brother… I think what Jeremy means is that to answer Danielle’s question, we’re going to have to look at the different phases of the moon. The Sound of Science - "What's With All These Moons?" J: We're here from NIU STEM Outreach to answer another one of your questions on the Sound of Science on WNIJ. K: Today's question comes from Caroline who asks, "Why are there so many different moons these days?" J: Good question, Caroline. It does seem like every month I see something new in my social media about an upcoming special moon. Pink moons, blood moons, strawberry banana mango moons. The Sound of Science - "Cell Phones"
J: I'm Jeremy Benson from NIU STEM Outreach and I'm in the studio with Kate Powers. This is the Sound of Science on WNIJ. K: Hey Jeremy, I have a question from Steven for you today about our cell phones, and to be quite honest it is a question that I have as well! J: There is a lot of cool technology in our hands these days - I'll see what I can do to answer. K: Steven, and I, want to know why our cell phones can pick up phone calls without interference from other cell phones? And even without interference from radios, WIFI and all sorts of other devices. The Sound of Science: "The Chemistry Of Baking"
K: Hi Jeremy, I hear you have a delicious question for me today. J: That's right! This question is about the chemistry of baking. Lynn wants to know why many recipes call for both baking soda and baking powder. And what's the difference between the two? K: Lynn's right. Many cookie or cake recipes call for both types of chemical raising agents. J: Chemical raising agent? Are there other types of raising agents? Northern Illinois University will administer the state’s Migrant Education Program from January 2019 to September 2021. MEP is a federally funded program of the Illinois State Board of Education. It focuses on providing schooling to the children of migrant workers. NIU Director of Illinois Migrant Education Services Susana Das Neves says most of the programs are geared for migrants during the summer. The Sound of Science - "Potholes"
K: Welcome to the Sound of Science on WNIJ. I'm Kate Powers. J: And I'm Jeremy Benson. K: Spencer asked why we have so many new pot holes each spring. Jeremy, what's going on with the roads in the spring? J: It all starts long before spring, Kate. Water is great at getting into every crack or crevice in anything, right? The Sound of Science - "What's Up with All the Lightbulbs?" J: I’m Jeremy Benson from NIU STEM Outreach and I’m in the studio with Kate Powers. This is the Sound of Science on WNIJ. K: Hi Jeremy, I love the question you have from Gustavo today! J: Gustavo just wants to know why lightbulb shopping has become so complicated in the past few years. Why does that question excite you so much Kate? K: When I moved into my apartment in August and turned on my kitchen overhead light, I noticed it was the kind of lighting you might expect in an operating theater. It was awful and blue and really bright. When people hear the word "meteorology," the first thing that often comes to mind is TV weathermen. A key aspect of meteorology is studying atmospheric patterns to accurately predict the weather. But NIU professor Victor Gensini says there is much more to the field. "After you get a meteorology degree, you're a broadly trained critical thinker," he said. "You have skills in physics, in mathematics, in computer science, in programming." University officials are praising Gov. J.B. Pritzker’s proposed budget increases for higher education. It would provide more money for student aid and gives colleges a five percent boost in their operating budgets. 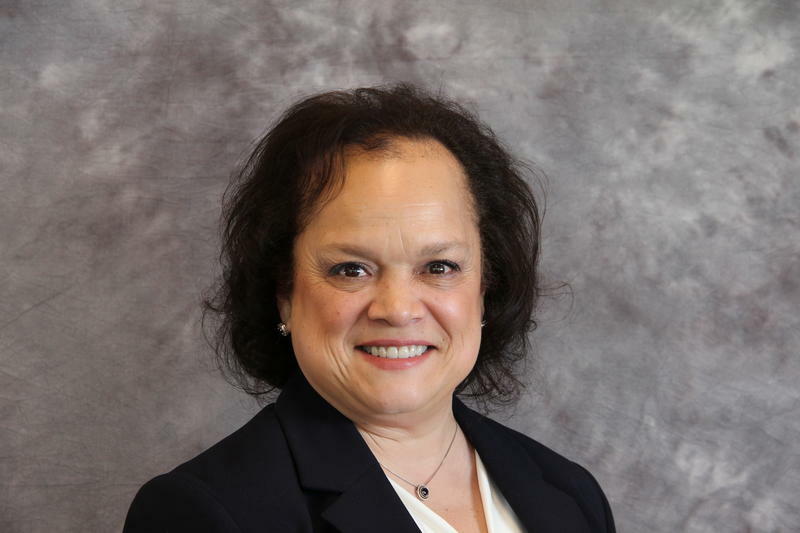 Northern Illinois University President Lisa Freeman says the increase won’t undo the damage from previous cuts and the 700 day budget impasse. But it’s a good first step. The Sound of Science - "Gold"
K: I’m Kate Powers from NIU STEM Outreach here in the studio with Sam Watt and this is the Sound of Science. S: Kate, I have a question from Colton today. He is wondering why you have to polish silver but not gold? K: Yeah gold is pretty amazing. Colton is right, gold doesn’t tarnish like other metals. Before we talk about gold, though, we should talk about what is happening when a metal tarnishes. S: Well, I know silver turns black when it tarnishes. What other metals tarnish? The Sound of Science - "How is Oxygen Made?" Sam: Welcome to the Sound of Science, I’m Sam from NIU STEM Outreach. Jeremy: And I’m Jeremy! This week’s question comes from Hazel in Dekalb. Hazel: I want to know how oxygen is made? Sam: That’s a pretty good question. Jeremy, where does the oxygen we breathe come from? Jeremy: We can thank all the plants and trees in the world for that! They take in the carbon dioxide we breathe out, use the carbon, and release oxygen molecules. But that doesn’t really explain how the oxygen even came to exist! For that, we need to think about nuclear fusion. The Sound of Science - "Why Does E=mc2?" Jeremy: Greetings, I’m Jeremy from NIU STEAM. Sam: And I’m Sam, and this is the Sound of Science on WNIJ. Jeremy: Today’s question was asked by Hunang from Orland Park. Hunang: I'm Hunang, I am from Orland Park and I would like to know, why does E=mc2? Sam: That’s a great question, and one we should be able to answer relatively easily. Get it, relativity? Freezing temperatures last week closed countless businesses and schools in northern Illinois. For some, snow days meant working remotely. Students are now returning to class after some school districts closed their doors for safety. The Sound of Science - "Extinct Humans"
Sam: Welcome to the Sound of Science on WNIJ. I’m Sam from NIU STEAM. Jeremy: And I’m Jeremy! Today we have a question from Maddy. Maddy: I'm Maddie from Fox River Grove, and I would like to know what would happen if all of humanity went extinct? Jeremy: Great question Maddy! Sam, what are your thoughts on the extinction of our species? What would happen? The Sound of Science - "Becoming a Scientist"
Jeremy: Welcome to the Sound of Science on WNIJ. I’m Jeremy. Kate: And I’m Kate. We’re here from NIU STEAM to answer your questions about anything to do with science, technology, engineering, and math. K: Today’s question comes from Judy from Chicago. J: Kate, before you joined NIU STEAM, weren’t you a researcher in a chemical lab? How did you become a scientist? The Sound of Science - "Fruitcake"
K: Jeremy, I hear you have a question from Lizzy today. J: Yes, Lizzy is concerned that her mom is still eating fruitcake from Christmas. She wants to know if that fruitcake is too old to eat, but I’ve heard stories about really old fruitcakes before. I just figured fruitcakes last a long time because nobody likes them. The Sound of Science - "Hoar Frost"
J: I’m Jeremy Benson from NIU STEM Outreach and I’m in the studio with Kate Powers, this is the Sound of Science on WNIJ. K: Jeremy, I hear you have a question today from Maria about a spectacular weather phenomenon. J: That’s right, Maria wants to know why sometimes on a cold morning you wake to find everything outside covered in glittery frost and sometimes you don’t. K: That is a great question and one that I used to wonder as well. The glittery frost that Maria is talking about is called a hoar frost. J: What kind of frost? The Sound of Science - "Instant Pots"
Sam: This is the Sound of Science from WNIJ. I’m Sam Watt from NIU STEM Outreach and I’m here with Jeremy Benson to discuss my favorite kitchen gadget. Jeremy: Today we are talking food. Janell asked how an instant pot work to cook food so quickly? Sam: But an instant pot is just a pressure cooker, right? You get the same benefits as the old-fashioned stove-top pressure cookers? The Sound of Science - "Rainbows"
Sam: I’m Sam Watt from NIU STEM Outreach and this is the Sound of Science on WNIJ. I have a question from Madison today and Jeremy Benson is going to help me answer. Jeremy, Madison wants to understand more about rainbows. Why do we see them and why do they appear in the sky just after a rainstorm? Jeremy: Let’s start with the basics. Sam, have you ever looked at a straw in a glass of water? What do you notice? Sam: Well, the straw looks bent at the top of the water. Seven years ago, a girls school founded by two Northern Illinois University professors opened its doors to its first eleven students in rural western Kenya. Now, 160 girls attend the school that has a goal of being “good enough for the richest, open to the poorest.” The school added music to its curriculum this year, and that created a mutual opportunity for one DeKalb native. On this week’s Friday Forum, WNIJ’s Susan Stephens sits down with Nelle Conley before she heads back to Kenya. The Sound of Science - "Purring Cats"
Sam: Welcome to the Sound of Science on WNIJ. I’m Sam Watt. Jeremy: and I’m Jeremy Benson. We’re here from NIU STEAM to answer your questions about anything to do with science, technology, engineering, and math. S: Jeremy, we have a cuddly question from Kim today. Kim wants to know how and why cats purr? J: That’s a question that I have wondered myself. Our co-worker Kate has two cats at home, Betsy and Irma, and they purr so differently and at different times. Betsy purrs when you just glance in her direction and Irma really makes you work for a purr. The Sound of Science - "Floating Magnets"
Jeremy: Welcome to the Sound of Science on WNIJ. I’m Jeremy from NIU STEAM. Sam: And I’m Sam. Today’s question comes from Abus from Rockford. Abus: I would like to know: why does magnetism make an object float? Jeremy: That’s an excellent question, Abus. I think most of us know that magnets can attract or repel each other depending on which way they’re facing. You might’ve even seen objects that seem to float in mid-air by using this magnetic force to oppose the force of gravity. This fall, Northern Illinois University released its annual Safety and Security report. We spoke with university and community leaders to find out how they are trying to keep students safe. The annual report details campus crime statistics for the past 3 years. It’s mandated by the Jeanne Clery Act. The act is named for Jeanne Clery, a Lehigh University student who was raped and murdered in her dorm room in 1986. All institutions of higher education that participate in federal student financial assistance must publish an annual report. A long-awaited email landed in Nicole LaDue's inbox earlier this year. It was a survey sent by NIU's Presidential Commission on the Status Of Women. The group wanted to know how NIU employees felt about FMLA, or the Family Medical Leave Act. FMLA is a federal law that lets qualified people take leave for 12 non-consecutive weeks without threat of losing their job. FMLA applies to any eligible organization, including universities. The Sound of Science - "Cool Mints and Hot Peppers"
Kate: Hi there, this is Kate Powers from NIU STEM Outreach, and it’s time for another installment of The Sound of Science on WNIJ. Today I’m joined by Sam Watt, who has another great question from a listener.